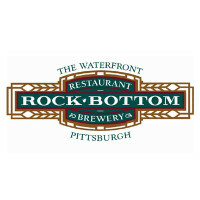 Founded in 1991, Rock Bottom Brewery is a chain of restaurants that is at the forefront of the craft beer revolution. Serving great food, innovative, local beers, mostly brewed in house, and reaching out to local community, it has forged a rare connection with the communities in which it resides. To find out how to apply for Rock Bottom Brewery online, read on for advice and a link. One of the things that sets Rock Bottom Brewery restaurants apart from the rest of the industry is the beer. All beer is crafted locally, with barley and other raw materials being stored onsite and the raw materials being roasted and fermented in an actual brewery right beside the restaurant. The result of this is beer that is unique to Rock Bottom Brewery, indeed unique to each branch. Another thing that sets it apart is its commitment to the local community. Each of their locations builds relationships with local charities to raise funds and provide food to the local community both by holding fundraisers and by hosting events for the homeless and displaced. Employees are encouraged to be a part of these charitable efforts and are paid for their time. Rock Bottom Brewery is a company that is growing and hiring all the time and is always looking out for interested investors, aspiring chefs and creative, ambitious brewers who would be interested in opening a new franchise. Visit their website to look for opportunities both for employment and for franchising. Rock Bottom Brewery jobs fall into two classes: hourly and managerial positions (which are paid a salary). While hourly positions don’t get many benefits, managerial positions do, with the caveat that they may have to work longer hours and have more responsibilities in general. Hourly staff that perform exceptionally well may qualify for management training. Hourly staff are primarily front end staff who interact with customers. Their responsibilities are primarily to ensure that customers have a good experience at the restaurant and to perform the menial duties inherent in running a restaurant. Rock Bottom Brewery jobs that are paid on an hourly basis include bartenders, servers, hosts, line cooks and dishwasher. Salaried positions have a greater responsibility in running the restaurant. They are responsible for ensuring that jobs get done by the staff as well as planning the general strategy (local menu items, special offers, attracting clients from surrounding areas). Rock Bottom Brewery careers in this category include General Manager, Chef, Sous Chef and Group Sales Manager. How old do you have to be to work at Rock Bottom Brewery? Rock Bottom Brewery offers many job opportunities for high school students working part time. Students applying for those positions must be at least 15 years of age. Salaried positions and positions that require extensive handling of alcohol may require applicants to be at least 16 years of age, preferably 18. To apply for Rock Bottom Brewery jobs online, visit the link below. You will have to specify whether you are applying for an hourly position or a salaried position. Hourly positions are sourced locally while salaried positions are sourced nationwide. There is no printable application form; you must apply online. This free application process uses E-verify to confirm eligibility for employment. Chef – The chef is responsible for all kitchen operations. Basically, the chef ensures that all kitchen personnel under him/her are able to create food according to specifications set by head office and management in a timely manner while maintaining a hygienic environment. The chef is responsible for developing his/her sous chefs by training them and instructing them by assigning them written work and master projects. The salary for this job depends on region. Sous Chef – The sous chef ensures that the chef’s orders are carried out and is in charge of actually overseeing food preparation, maintenance of food stores and purchase of ingredients to fulfill the chef’s vision. The sous chef is responsible for the scheduling of kitchen personnel and In addition, the sous chef is usually in training to be master chef. Salary for this job depends on region. Group Sales Manager – At most restaurants, a certain percentage of annual revenue is targeted to come from large events (corporate dinners, wedding banquets, presentations) that require special preparation on the part of a team of people working at the restaurant. The Group Sales Manager is responsible for the organization of these events booked (and for getting these events booked). This job has a salary that depends on the restaurant. Bartender – As bartender, your responsibilities include serving customers who want alcoholic beverages, making cocktails to the standards required by Craftwork and keeping track of alcohol as it moves in and out of the bar. Hourly rate for this position tends to be minimum wage, but is additionally supplemented by tips. Why would you like to work at Rock Bottom Brewery? Detail what about this chain that you liked. It would be a good idea to try the food at the restaurant before your interview so you can talk about specific things you liked about the food or atmosphere. Doing research for this question should be fairly enjoyable at least! What can you do for our restaurant? Following on from the previous question, take note of what improvements YOU can effect if you are given the position you applied for on your Rock Bottom Brewery Application. For example, if you think you could manage the bar better and you’re applying to be a bartender, then make a note of that. Don’t appear too critical when you discuss improvements/changes you’d implement. What are your weaknesses? In general, you want to reply in such a way that your weaknesses become strengths. For instance, a lack of experience or lack of knowledge can mean an open mind about doing things, which might make you easier to train since you don’t have any possibly bad habits (or at least habits unapproved by Craftwork) to unlearn. Describe your past experience. A relevant question for management staff, especially, particularly chefs, you need to detail how you worked in previous restaurants and how your experience would apply to your job description. It would help to discuss how things are run at the restaurant you are interviewing at so you can relate your past experience to the restaurant you’re applying to. Where do you see yourself in 5 years? Honesty is the best policy here since a lot of people in hourly positions have no intention of having a long-term career in hospitality. For those interested in long-term Rock Bottom Brewery careers, research into the corporate structure of this chain is in order so you can answer where in the chain you want to be. Going online to apply for jobs at Rock Bottom Brewery is fairly simple. Visit the company recruitment page listed below and select whether you’re applying for an hourly position or a managerial position. When applying for an hourly position, select the branch you want to work at and then select the title of the position you are applying for. There is no printable application for Rock Bottom Brewery nor can you download application form. Submitting a direct application can be a good way to gain employment in an hourly position at your local branch. Make the acquaintance of the manager at the local branch (preferably while having a meal there) and discuss and how you might fit in the restaurant’s operations. In addition, the manager may give you some tips on what to put on your Rock Bottom Brewery application. When submitting your resume, it is important to include all experience that might be relevant to the position you are applying to. This is important because you need to make your applications stand out amongst the many Rock Bottom Brewery applications that the restaurant needs to sift through. This especially applies if you are a student. When applying for management positions, it is even more important that you write your resume specifically for the position you are applying for. Unlike the hourly positions, the online application form for managerial positions has a very detailed description of duties and responsibilities. Make sure your resume mentions how you performed those duties in your past or current employment. U.S. Foodservice: Use the U.S. Foodservice job application to apply here. Tilted Kilt: Checkout the application page for work at Tilted Kilt. Donatos Pizza: Checkout the application page for work at Donatos Pizza. Cash And Carry: For employment at Cash And Carry visit the application page. BJ’s Restaurant & Brewhouse: For employment at BJ’s Restaurant & Brewhouse visit the application page.